At Clara Barton School our students work very hard to: “Be Respectful! Be Safe! Be Responsible!” Students are also encouraged to “fill each other’s buckets” by writing special comments of thanks to students and teachers who have done something special. When you come into the school’s office you can see those comments hanging on the wall. In addition, students are encouraged to “give back” to their neighborhood and community through volunteering. Edison Elementary is a welcoming school community where children learn and grow, supported by caring adults. Because children come to us with a variety of needs, challenges, and talents all their own, we first try to get to know each child and each parent to create a positive relationship. That helps teaching and learning become interesting and fun. And we believe school should always be a fun, safe place that children enjoy coming to. So come and visit Edison. We look forward to meeting you and your children! Franklin Elementary prides itself on being a diverse learning community that strives to develop respectful, productive, and responsible leaders. Our 21st Century learning allows us to integrate relevant technology, collaborate, be creative, use critical thinking, and communicate effectively. Every staff member at Franklin Elementary is here to support your child to Dream -Believe -Achieve. Our teachers are your partners in your child’s education and they are happy to meet with you. We are proud of our Franklin community, and we have many opportunities for our parents to participate both inside and outside the classroom. 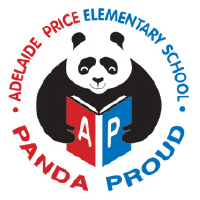 I welcome you join our PTA, attend school events, or join one of parent engagement activities this year. 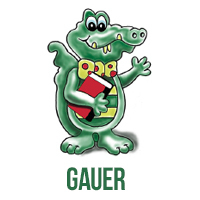 Gauer School is a STEAM school, placing a focus on inquiry and problem-solving through the disciplines of Science, Technology, Engineering, Art, and Math. All K-6 students have access to technology throughout the instructional day, are taught computer programming, and are provided instruction in the engineering design process through the Engineering is Elementary curriculum. 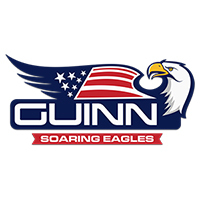 In addition to STEAM centered learning throughout the instructional day, Gauer offers a variety of after-school enrichment programs to enhance the school’s focus: STEAM soccer program, orchestra, art, and commuter programming club. Parents, we look forward to working together with you to help your student learn and develop. Our mission is to provide a quality education through shared responsibility in a safe supportive environment for all students to meet the challenges of a global society. Our goal and responsibility is to help each student develop an enthusiasm for learning, a respect for self and others, and the skills to become a creative, independent thinker and problem solver. 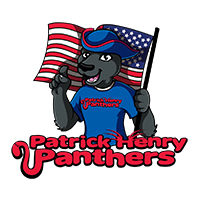 If you’re looking for a school, the most important thing you should know about Henry Elementary is that we enjoy working with children, and we treat each child as an individual, with kindness and respect. Children are not all the same. They come to us with a variety of needs, challenges, and talents. So we first try to get to know each child and each parent and create positive relationships. That helps teaching and learning become interesting and fun, and we believe school should always be a fun, safe place that children enjoy coming to. Please feel free to come and visit our school. We look forward to meeting you and your children! Jefferson School is a STEAM school, a school that puts a focus on inquiry, data, and problem-solving through the disciplines of Science, Technology, Engineering, the Arts, and Math. All K-5 classrooms will engage in STEM projects from the Project Lead the Way (PLTW) curriculum, where they collaborate together in teams and ask questions and problem-solve a real-world scenario…much like many of our careers today ask for. Here at Jefferson we are preparing young scholars for college and 21st century careers. 6th grade classes will receive instruction in computer science through a program called Codologie. This year we are opening up a Robotics Club, Computer Science Club, and other extracurricular activities. Keep an eye out for more information! 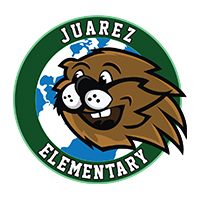 As the Common Core standards and digital citizenship era in education continues to evolve, Juarez School recognizes the need to not only prepare our scholars academically but to also ensure that they are equipped with the necessary skills to compete in a highly competitive global society. To ensure the success of each one of our scholars, our staff is committed to on-going professional development that will enable us to utilize relevant, current, and research based instructional practices. 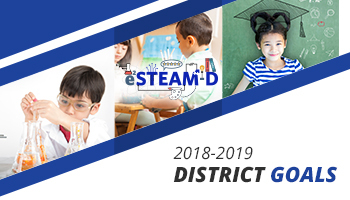 We are excited to continue our focus on teaching Common Core Standards, digital literacy through age-appropriate technology integrated lessons, as well as providing daily opportunities for students to develop their communication, creativity collaboration critical thinking, and global citizenship skills. Our students are at the age where we can help develop habits that will assist them throughout life. I know I can count on each of you to encourage all students to work hard on a daily basis. Every student is an individual. Every adult can make a difference for students. Our Mission: To teach all students well, enabling them to reach their greatest potential. 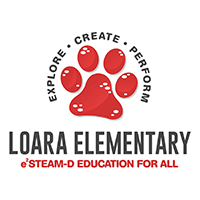 If your child is not currently enrolled at Loara, please feel free to come and visit us. We look forward to meeting you and your children! Madison welcomes the integration of technology into our instructional day. Students have daily access to chromebooks and the use to Google apps as tools to complete their work. We also offer after school clubs that allow students to learn computer coding skills. Parent classes are offered all school year will be designed to develop your understanding of Common Core State Standards, instructional strategies, use of technology, parenting skills and how you can best support your child at home. 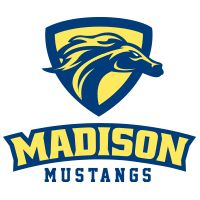 At Madison we take pride in working closely with our community to ensure the success of every child. Our distinguishing practices are Project Based Learning (PBL) and Dual Language Immersion (DLI). Project Based Learning (PBL) is a revitalization of education for students so that they can develop intellectually and emotionally. We use real-world scenarios, challenges, and problems, and our students gain useful knowledge and skills that increase during their PBL units. Our teachers and students collaborate and come up with complex questions or problems to develop and enhance student learning by encouraging critical thinking, problem solving, teamwork and self-management. The driving question for each PBL unit requires our students to make their own decisions, perform their own research, and review and revise their own and fellow students’ projects. Our PBL units start in TK and continue through 6th grade. Dual Language Immersion (DLI) offers English and Spanish speaking students an exciting, enriching, and challenging educational opportunity. Students in DLI learn to read, write, and communicate effectively in both languages while demonstrating high levels of academic achievement. We are creating students that are bi-lingual, bi-cultural, and bi-literate for the 21st Century. Currently, we only offer a DLI kinder class. 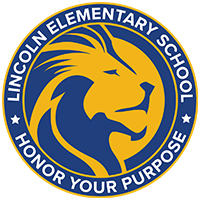 We continue to focus on character education initiatives, 21st Century skills, fostering a nurturing safe environment for children, use of data to inform instruction, consistent implementation of the Common Core State Standards to increase students’ achievement, and providing exciting and challenging enrichment opportunities for all students. We’ve added more computers and additional supports to enhance learning and engage students through technology. Physical and emotional fitness will remain a focus through programs like 100 Mile Club, Padres en Accion, Character Development, and services provided by our Behavioral Support Team. At Palm Lane, we believe in a progressive, relevant, well-rounded education. Every child has music, project-based learning and educational technology integrated with the common core standards for a leading edge learning experience. We also have a dual language academy for families who choose the path of biliteracy. Every staff member at Palm Lane is here to support your child and we encourage you to be part of our school community. Drop by our parent center in room 29 where we are happy to talk to you about what is going on at Palm Lane. Additionally, your child’s teacher is a partner with you regarding your child’s education and they are happy to meet and discuss any questions or concerns. Theodore Roosevelt School is home to 520 TK- 6 students. Our staff, students, and community work together to create a safe school environment that gives all students the opportunity to be successful. 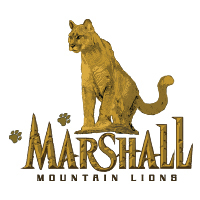 Our school mission demonstrates our desire for all students to succeed as they move through their education. 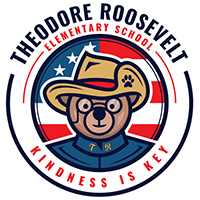 Throughout the school year you can expect to see Roosevelt students working on Common Core tasks, participating in STEAM throughout the day, being kind to each other, as well as being respectful, responsible, and safe. 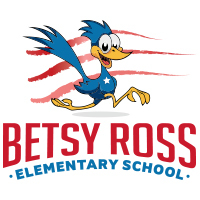 They will also have opportunities to participate in tutoring, PAL, special activities with their teachers, general and instrumental music and “star buck” parties.As we progress through the 2017-2018 school year, the school community can expect great outcomes from our Roosevelt students. 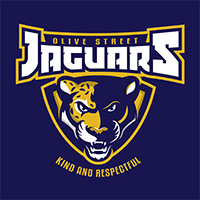 Our mission is to nurture strong relationships with students, parents, and the community, and provide a safe, positive learning environment focused on student achievement. Our goal and responsibility is to help each student develop an enthusiasm for learning, a respect for self and others, and the skills to become a creative, independent thinker and problem solver. I am sure we will see many great things from our scholars this year! 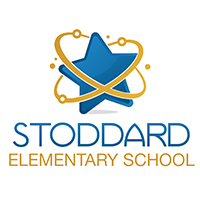 We at Stoddard are truly proud of what we do as a community and we couldn’t do it without all the support of our parents and families. 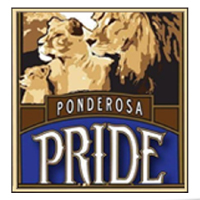 Please consider becoming active in the PTA and/or Wednesday’s Parent Club. You are also welcome to work in your child’s classroom assisting the teacher in many ways. 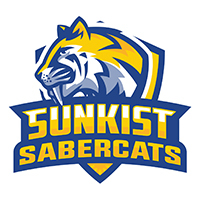 Sunkist school operates on a late start, modified single track calendar for the 2017-2018 school year. 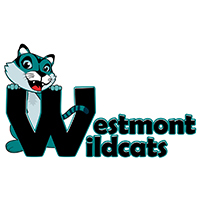 An excellent education is not possible without the great collaboration of students, parents, and staff of Westmont. We look forward to the work we will do together to ensure a safe learning environment and to prepare students to be career and college ready. 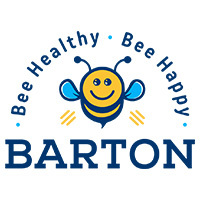 We are very passionate about education and we look forward to partnering with parents to provide our students with a rigorous, engaging, and high-quality elementary school experience. We believe that by working together, we can make sure your child’s social, emotional, and academic needs are met.